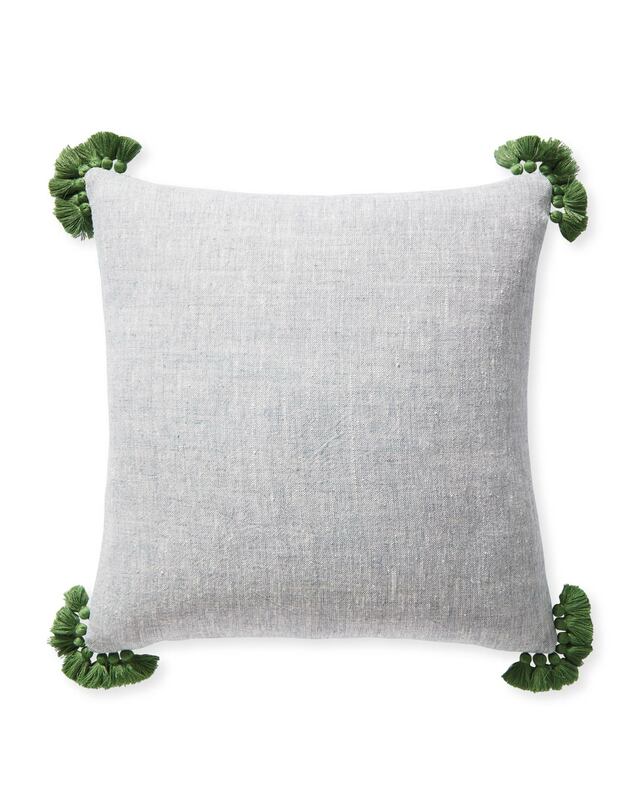 Cayucos Pillow CoverCayucos Pillow Cover, Blue/Moss alt="Cayucos Pillow Cover, Blue/Moss"
Estimated ship date is 4/22/2019. 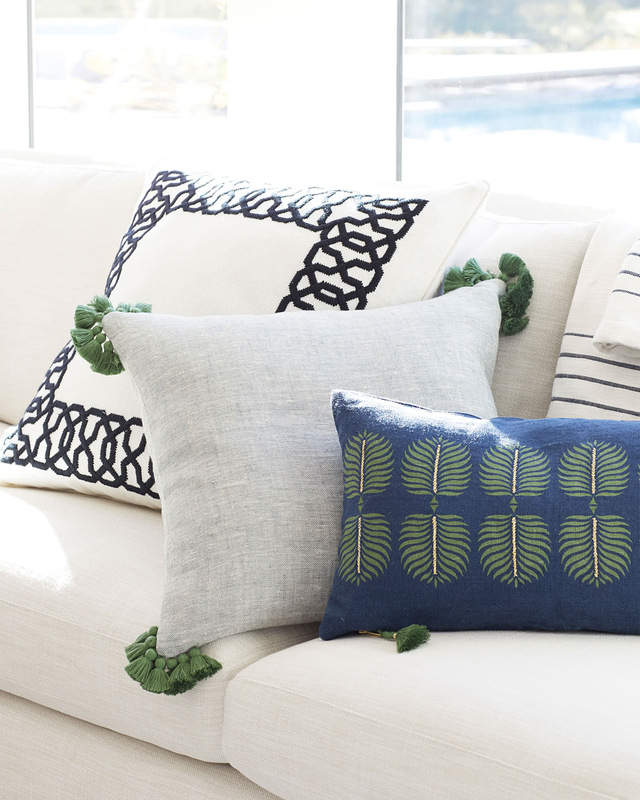 Print Sometimes it’s the littlest things that have the biggest impact, and this pillow is proof positive. Petite tassels on each corner are a nice counterpoint to the solid base. 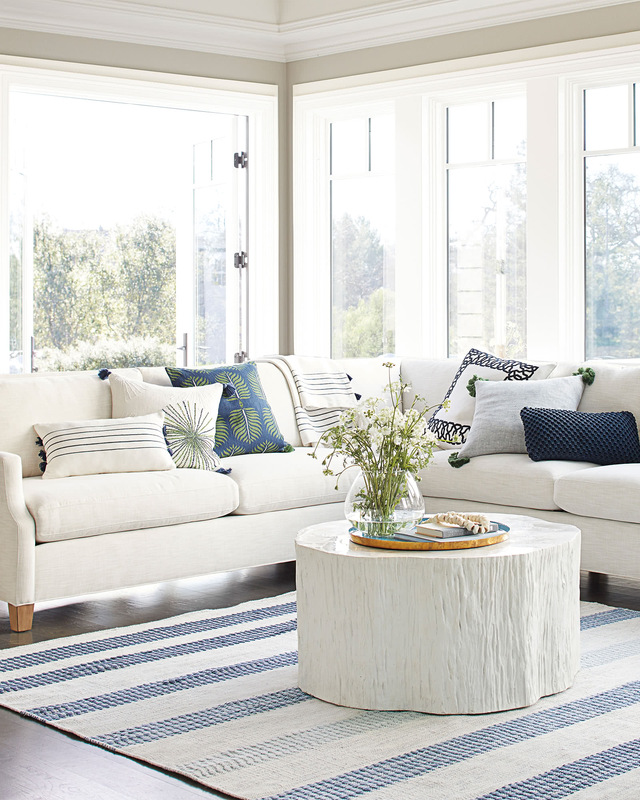 Textural linen brings beautiful texture and a relaxed sensibility. 7 small tassels are hand-sewn onto each corner. 12” x 21” or 20”SQ.